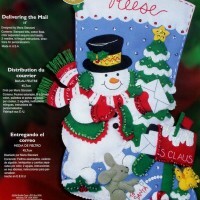 Christmas Night 28" Jumbo Bucilla Felt Stocking Kit #86740 - FTH International Sales Ltd. This 150th Anniversary Edition is almost identical to the original 1994 Over The Rooftops Jumbo Stocking kit. You will be able to fit all kinds of gifts and goodies into this 28″ Jumbo stocking after you have completed it. 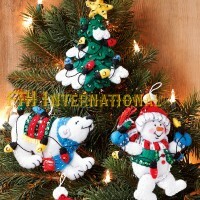 This traditional Christmas Scene is one every child dreams of seeing on Christmas Night. Santa is waving from his sleigh full of toys as he soars over the snow covered roof tops of the houses below. 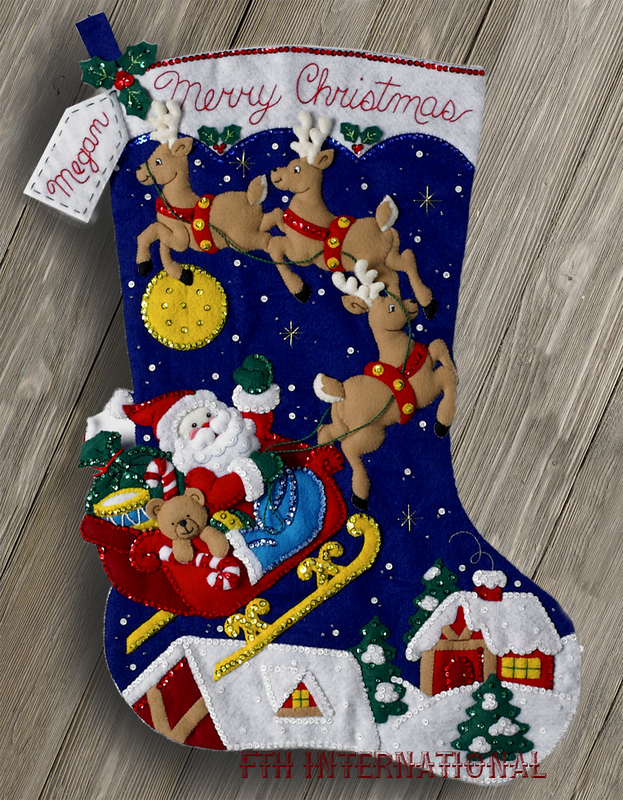 His reindeer are pulling him high into the star studded deep blue night sky towards the bright yellow moon as he races on his way to deliver toys and gifts to children all over the world on this magical night.